Explore monoprint and collograph printing to produce a range of interesting textures and patterns onto paper, taking inspiration from local artists. You’ll then be shown how to use your prints to create your own concertina artist display book, also known as leporello folded books. You’ll be guided through the process in a step by step way and will use the etching press in our fully equipped professional print studio. 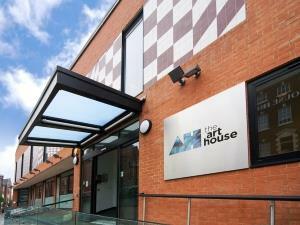 The Art House is on Drury Lane , just past Westgate Train Station.